CAN YOU PUT A PRICE ON DATA? How much is the data on your smartphone worth to you? A recent survey commissioned by Lookout set out to find the answer to this question. According to the results of the US based study, 50 per cent of phone theft victims would be “somewhat likely to extremely likely” to pay up to $500 to retrieve their stolen data. Over 70 per cent said they would even resort to vigilantism to get it back. Back in the UK, the problem of smartphone theft continues to rise – which can be a very emotional experience for victims of this highly profitable crime. Around 100,000 mobile phones are stolen each month in London alone. And, with the some stolen smartphone selling for up to £1,000 on the black market, there’s often little stopping thieves from peddling more devices. As they say, bad things happen, but people can prepare for certain scenarios. We all know things get stolen so many people will buy insurance just in case they’re unlucky. Shouldn’t we also be taking proactive measures to protect our data too? People should make time to always back up data before data loss strikes. Perform a data backup at least once a week (if not daily!) on multiple storage devices and platforms such as computers, flash drives and Dropbox. If you also use your mobile phone for work, make sure your company has BYOD and BYOA policies in place that include a back-up plan for data . BYOA initiatives that work well include company app stores and virtual streaming for apps. 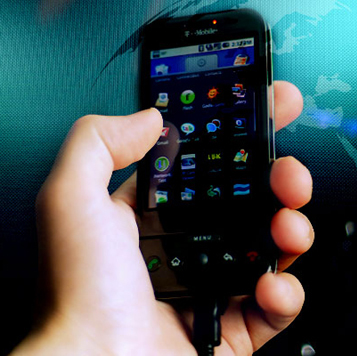 This means that the smartphone apps you download and use for work can’t be accessed outside the corporate environment. Indeed, always check with your company about such initiatives and their back-up data policies before using your phone for work purposes. Otherwise, you may risk not only losing your sentimental data, but also vital corporate information that can have a big impact on the company’s financial and overall security. Don’t be caught out. Always back up data. Keep it safe!